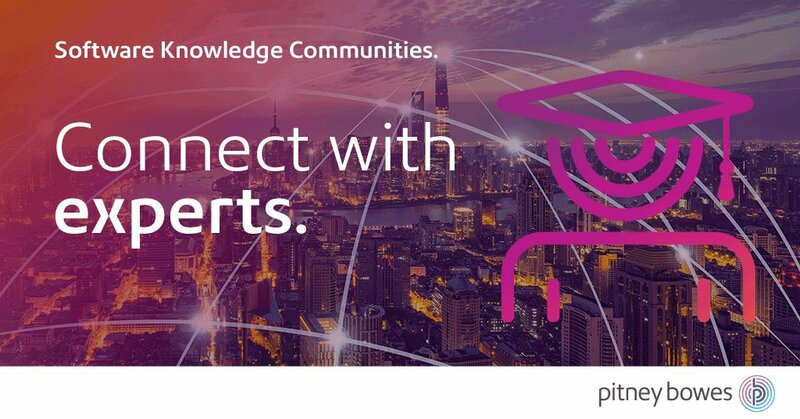 Pitney Bowes Software offers a variety of online training tutorials to assist new and experienced users of the MapInfo solution suite work more effectively. New Ribbon Interface MapInfo Pro 64 bit now has a fully customizable Ribbon Based User Interface. The new user interface helps users to find and access all MapInfo Pro capabilities with greater ease. Workspace Explorer MapInfo Pro 64 bit comes with a new feature called Workspace Explorer. The Workspace Explorer provides you with quick and easy access to key features like Layer Control, Table List, list of Open Windows, and a list of Data Connections. Window Management MapInfo Pro 64 bit is equipped with a versatile Window Management system. The improved Window Management system allows you to place your Map or Browser Windows in a variety of locations and across multiple monitors. Introduction to MapInfo Pro Advanced a new offering from Pitney Bowes that enables GIS analysts to work with “Big Data” in a spatial context. Users will be able to visualize and analyze very large, high resolution and multi-spectral raster data through the interface within MapInfo Pro. Image Processing & Display Capabilities - MapInfo Pro Advanced includes powerful and easy to use capabilities for changing the appearance of your grid data. These capabilities are not just for making attractive looking maps, the interactive coloring feature allows for advanced spatial analysis. Raster Info & Statistics - MapInfo Pro Advanced provides easy to use tools that allow you to get important information and statistics about the grids that you are working with. If you are using grid data that you are unfamiliar with, MapInfo Pro Advanced provides easy ways to learn about the data.